Other girls wanted to be veterinarians, to marry rich, to be Rockettes. From that moment on, what I wanted most was a place of my own in the Dewey decimal system. 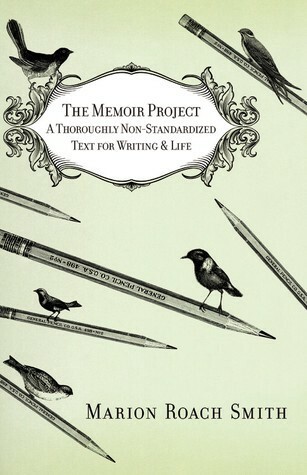 “The Memoir Project: A Thoroughly Non-Standardized Text for Writing & Life ” is written by Marion Roach Smith, a journalist , accomplished author of many blog posts, articles and books and the teacher of a renowned class on writing. Her website, which is quite remarkable in its own right, is available here. The purpose of this book is to help you learn to write with intent. Marion Roach Smith explains the steps to writing your memoir (or any other work) in a direct and concise form. Along the way, she also gives us the tools and techniques required to do so as well as avoiding common pitfalls like ‘writer’s block’ etc. “The Memoir Project” is filled with practical advice that will help potential writers tremendously. The author’s vast experience in writing comes through and helps in making this advice grounded in reality and genuine. The author has made the tone of the book conversational. This makes it easy to read and comprehend. In addition, the personal vignettes and anecdotes adds that human touch. As a result, this book moves to a place beyond being a textbook on writing. “The Memoir Project” is a short book in terms of pages but long on content. It is an excellent book for people who want to start writing and need a helping hand. I strongly recommend this book for those looking to write.